As you may know, Lara and I will be taking part in a Race For Life run on the 19th July to raise vital funds for Cancer Research UK. This month our fundraising has really taken off; here are just a few of our fundraising activities which have helped us to get half way towards our goal. We are also planning a friends, family and colleagues raffle with some awesome prizes and Lara is eager to make some more cakes! As part of our fundraising efforts we are inviting you all to join us to run, walk or jog a 10 kilometre route and enter our "virtual" 10k race. ANYONE of ANY age or fitness level can join in with our Mellow Mummy fundraising virtual 10k - the more the merrier. How does the Virtual 10km Race Work? A Virtual Race is one where all the entrants run in their own location at a time that suits them. You submit your time before the end of the "race" along with some evidence of the time you did it in! To enter the race, we ask you for a donation towards our fundraising target for Cancer Research UK. 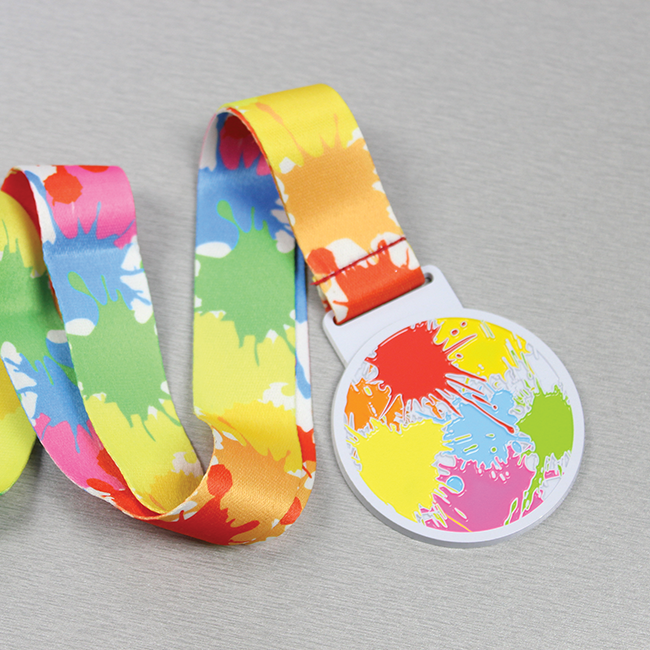 Every single entrant to our race will get one of these bright and fun colour-splat medals engraved with the date and the challenge you completed. There are prizes for the winner, and spot prizes up for grabs too! Our virtual 10k fundraising event will run from the 19th June to the 19th July 2015 (the date when Lara and I join the Pink Army to complete our Race for Life).